Edward Crawley is the President of the Skolkovo Institute of Science and Technology (Skoltech) in Moscow, Russia, and a Professor of Aeronautics and Astronautics and Engineering Systems at MIT. He received an S.B. and an S.M. in Aeronautics and Astronautics and an Sc.D. in aerospace structures, all from MIT. From 1996 to 2003, he was head of the Department of Aeronautics and Astronautics at MIT. He has served as founding co-director of an international collaboration on the reform of engineering education and was the lead author of Rethinking Engineering Education: The CDIO Approach. 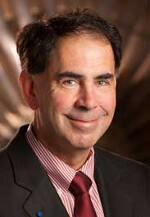 From 2003 to 2006, he was the Executive Director of the Cambridge-MIT Institute, a joint venture with Cambridge University funded by the British government and industry; the Institute’s mission was to understand and generalize how universities can act effectively as engines of innovation and economic growth. Dr. Crawley has founded a number of companies. ACX, a product development and manufacturing firm; BioScale, a company that develops biomolecular detectors; Dataxu, a company in internet advertising placement; and Ekotrope, a company that supplies energy portfolio analysis to businesses. From 2003 to 2012, he served on the Board of Directors of Orbital Sciences Corporation (ORB). Professor Crawley is a Fellow of the AIAA (American Institute of Aeronautics and Astronautics) and Royal Aeronautical Society (UK) and a member of the Royal Swedish Academy of Engineering Science, the Royal Academy of Engineering (UK), the Chinese Academy of Engineering, and the National Academy of Engineering (US). Bruce Cameron is the founder of Technology Strategy Partners (TSP), a consulting firm, and the Director of the System Architecture Lab at MIT. 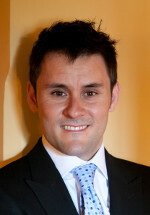 Dr. Cameron received his undergraduate degree from the University of Toronto, and graduate degrees from MIT . As a Partner at TSP, Dr. Cameron consults on system architecture, product development, technology strategy, and investment evaluation. He has worked with more than 60 Fortune 500 firms in high tech, aerospace, transportation, and consumer goods, including BP, Dell, Nokia, Caterpillar, AMGEN, Verizon, and NASA. 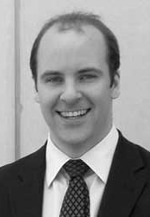 Dr. Cameron teaches system architecture and technology strategy at the Sloan School of Management and in the School of Engineering at MIT. Previously at MIT, Dr. Cameron ran the MIT Commonality Study, which comprised over 30 firms spanning 8 years. Daniel Selva is an Assistant Professor in Mechanical and Aerospace Engineering at Cornell. He has degrees in electrical engineering and aeronautical engineering from Polytechnic University of Catalonia (UPC), Supaero, and MIT. Professor Selva's research focuses on applications of system architecture, knowledge engineering, and machine learning tools to early design activities. His work has been applied to the NASA Earth Science Decadal Survey, the Iridium GeoScan Program, and the NASA Tracking and Data Relay Satellite System (TDRSS), where he developed architectural analysis in support of system architects and executives. He is the recipient of Best Paper and Hottest Article awards. Between 2004 and 2008, he worked for Arianespace in Kourou, French Guiana, as a member of the Ariane 5 Launch team, specializing in the On Board Data Handling, and Guidance, Navigation and Control. He has previously worked for Cambrian Innovation in the development of novel bioelectromechanical systems for use on orbit, and at Hewlett Packard on the monitoring of banking networks. He is a member of the Board of Advisors for NuOrion Partners, a wealth management firm.